The denouement in the plot of a fictional work refers to the final moments of the story — the closing scenes and sigh of relief after the climax. 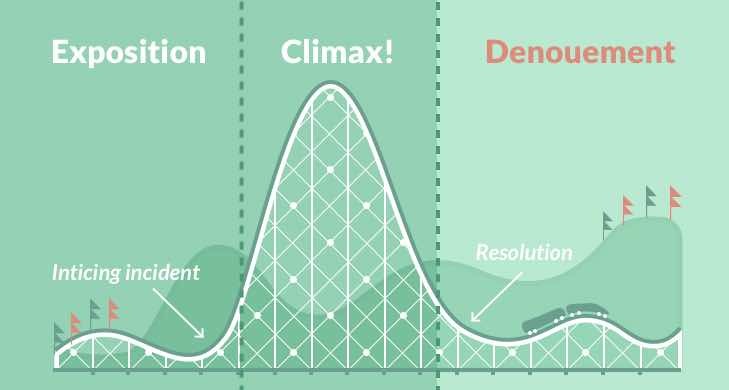 It's the last stage in the narrative arc of Freytag's Pyramid, following the exposition, rising action, climax, and falling action. Of course, all books end — but a denouement purposefully provides some degree of resolution and fulfills the author's promises to the reader. If you're using the three-act structure to write a climax and then immediately jump 50 years into the future to detail an entirely new plot, only to end on a sudden cliffhanger — well, a denouement that is not. (More on cliffhangers later). Alright, now that we all know how to define denouement, let’s start writing one. Because all stories have to end at some point, a denouement is universal to every story structure. Individual readers will, naturally, have their own definition of a "satisfying ending" but it usually combines the feeling that you reached a natural conclusion and the wistful hope that you could also know what comes next. Here are a few things to keep in mind while writing your denouement so that it achieves both those feelings. 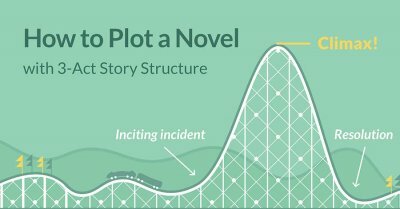 PRO-TIP: If you're curious about how the denouement figures into narrative structures outside of the three-act structure, we recommend that you read about the Hero's Journey or Dan Harmon's Story Circle. Most of us have heard of Chekhov’s Gun — the rule that if you let readers know that something is significant, you eventually have to explain why. An unfired gun is therefore an unfulfilled promise. 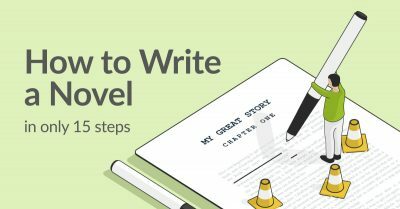 This doesn’t mean that you now have to go back through your novel, make a note of every promise you made readers, and then dump the explanations into the denouement. The closing of a story is a place to follow through on the important promises you made to readers — the ones that will add to their understanding of the story. If you have lots of other tiny guns that you haven’t yet fired by the denouement, it probably means you should remove them. 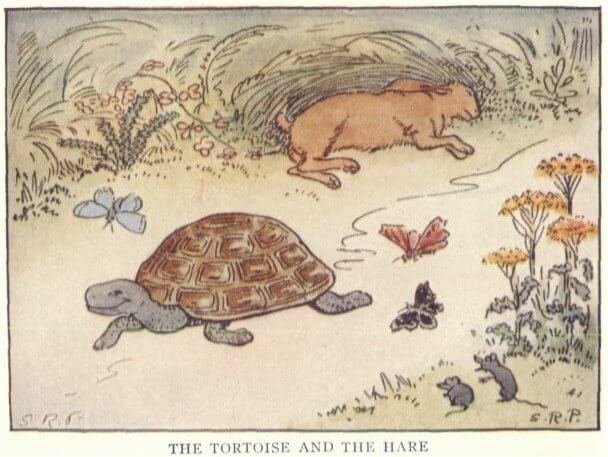 Some genres come with the expectation of a particular kind of story-ending. Romance novels, for example, typically conclude with a “Happily Ever After,” where all remaining questions are addressed and we have a complete picture of the characters and their lives moving forward. Mystery novels also tend to tie up most loose ends — or all the ones that pertain to the mystery at hand, at least. The narrative arc usually reaches its climactic peak when the clues scattered throughout the story suddenly click together in the detective’s mind and they identify the guilty party. After, during the denouement, the rest of the major characters are often gathered round so that the detective can explain to them (and readers) how they cracked the case, and tie up loose ends. While some stories that end by wrapping all their threads into a bow can be satisfying, it can also sometimes feel a little contrived and jolt readers out of the narrative. 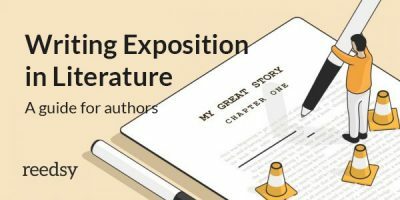 If you’re not writing a book that specifically needs to resolve all of its uncertainties, you might be better off writing a denouement that achieves the above point of fulfilling promises, but that also leaves a few lingering questions in the characters’ minds — that feeling that there’s still more that could be said. To see how some famous authors ended their stories, go here. In the novel The Fault in Our Stars, protagonist Hazel Grace talks about her favorite book, a fictional work called An Imperial Affliction. It is revealed that the book ends in the middle of a sentence, and the fates of the characters are left completely up in the air. The abrupt ending gives Hazel pause, and she concludes that the unorthodox conclusion is meant to reflect the uncertainty of death. Now, this is an extreme way to go about leaving lingering questions in your readers’ minds — one that is sure to frustrate many of them. However, if you want readers to reflect on your story after the final words, you should end your novel in such a way that implies the characters’ lives will continue. You can do this by nudging at potential future events or by demonstrating that while major arcs have been resolved, there are minor conflicts that have yet to be worked out. These are the kinds of endings that leave readers with a sense of longing to know what’s yet to come. Unless you’re writing an anthology of parables, you probably don’t want to spoon-feed your readers this way. However, the denouement can be a great place to give a final, subtle, nod to your novel’s theme or motifs. Just make sure you’re not being repetitive or heavy-handed. 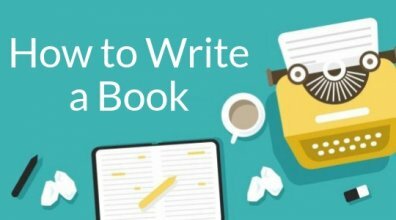 Instead, offer insight that gives readers a final thought to chew on. Not all books need to overtly state their theme at the end. 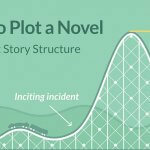 These are the main functions of a denouement, and if you can incorporate these elements into your story’s end, readers are sure to close your book with a satisfied sigh. Next up are a few bonus tips to keep in mind and pitfalls to avoid. Most novels feature some kind of “character vs self” conflict — whether it’s the main conflict of the story, as with Mrs. Dalloway, or a sub-conflict that mirrors a character’s external conflict. It’s their internal conflict that drives the character arc — the inner journey that unfolds over the course of the plot. Just as the narrative arc comes to a head at the climax, so will the character arc. Readers will therefore want to know what effect the climax has had on the character and their journey. Character development should continue into the denouement, and we should get a sense of how the events of the story have impacted them. A Series of Unfortunate Events is known for exaggerating and parodying tropes and storytelling gaffs. The first installment of the series concludes with the antagonist — Count Olaf — escaping arrest when one of his associates simply turns a light off so that Olaf can escape. 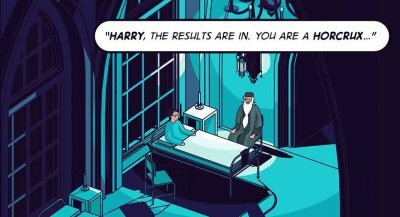 While author Lemony Snicket presents readers with this ending in a self-aware, tongue-in-cheek manner, such an ending would is an example of a writer cop out: a denouement that undermines all of the preceding plot and character development. Writer cop outs usually involve a conflict resolution that’s contrived, unbelievable, and not in tune with the rest of the story. It’s one thing to have a detective list all the clues and rule out all the suspects at the end of a novel. But most novels shouldn’t end with a big speech that explains all of the different aspects of the story. A far more compelling ending is one that shows the appropriate resolution, as opposed to stating it. Check out our new guide for more tips to nail the “Show, Don’t Tell” rule. Authors write the story and readers are just along for the ride, right? Wrong. If a story is written well, readers become invested participants in the journey your story unfolds. This is one of the denouement’s most important functions: giving your readers a chance to breathe after the climax, and to see the view from the top of the mountain they’ve just spent pages hiking. There’s nothing more frustrating than reading through hundreds of pages of a story, only to find it's totally open-ended. And yet, there’s nothing more exciting than starting a second or third novel in a series, keenly anticipating answers that the previous book didn’t supply. 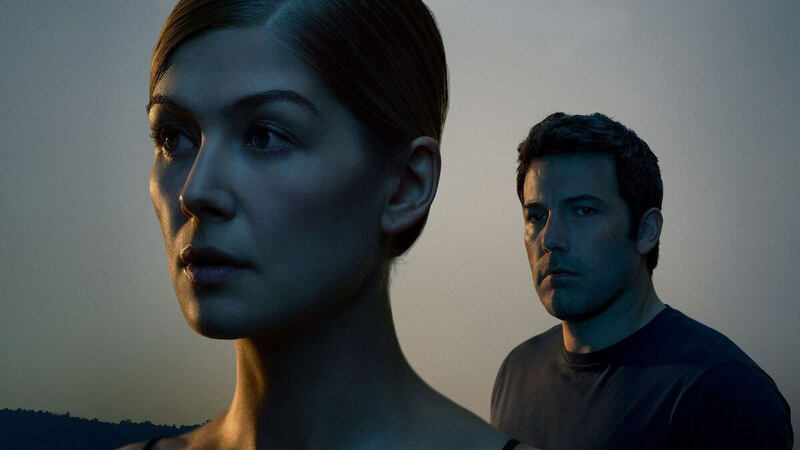 Gone Girl ended on a cliffhanger that left many readers fuming. That’s why, if you’re not writing a series, you should approach cliffhangers with caution. Many feel that to end a novel on sudden plot-twist or without any sense of resolution whatsoever is to betray your readers’ trust. So if your stand-alone novel just has to end on a cliffhanger, make sure you lay adequate groundwork and foreshadowing through the story so that readers are caught off-guard — but not left feeling like the rug has been swept out from under them. 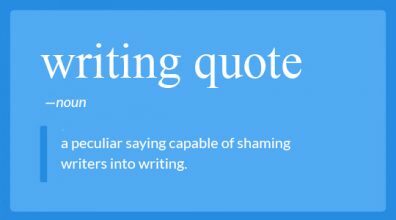 In other words, your cliffhanger should leave readers speculating, not consternating. Read on for examples of denouements from famous novels that hit all the marks of a well-written denouement — but be warned: spoilers ahead. Though the ending of this classic mystery novel answers all the logistical questions of how Cassetti was murdered, the denouement of Murder on the Orient Express doesn’t end on a note of total resolution. It closes with a moral debate: who should be condemned for this crime? In the end, while Poirot feels the murder was justified, there is still a question that hangs in the air: is the law absolute? And if not, where does it fade? Poirot does not seem to reach a conclusion that wholly satisfies this ethical quandary in the denouement. Hence, even though the mystery reaches a satisfying close, the novel ends on an ellipsis that allows us to reflect on its themes. PRO-TIP: Cozy mysteries in general are great examples when it comes to denouements. To read the best of the best, check out these nine great cozy mystery books. Sometimes a denouement echoes the climax as a way of hitting one final nail on the head of theme — without having to overtly state it. 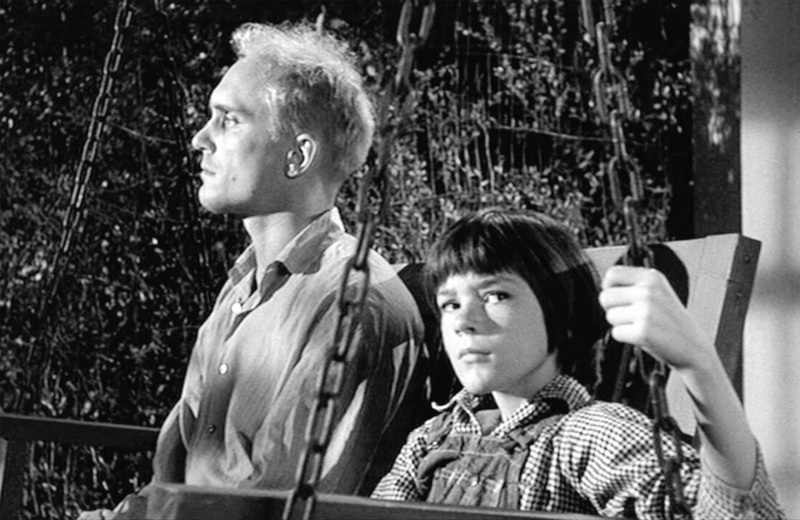 Bob Ewell attacking Scout and Jem in To Kill a Mockingbird is an example of this: it’s an outcome of the climax that occurs in the denouement and is what really drives Scout’s character development home. In the aftermath of the attack, Scout realizes that Boo Radley saved her and her brother’s life. For the first time, she sees him as a human being rather than the subject of a ghoulish local legend. She also backs up Heck Tate’s decision to report Bob Ewell’s death as an accident in order to spare the already-taunted Boo from the publicity of a trial. Both of these actions and realizations signify Scout’s final steps towards acquiring a more “adult” and complete moral perspective — one Atticus has been encouraging for the duration of the book. This moral perspective includes the recognition that the human experience is comprised of experiences with both “good” and “evil,” and that people have the choice to live consciously without becoming cynical losing hope in human kindness. As you can see, the denouement doesn’t need to include fireworks — or even answers to every question a novel poses. Stories where everything works out and everyone rides off into the sunset can feel rather contrived or like a harsh yank from the stories world into reality. Use your denouement to fulfill your promises to your readers but to also leave a small kernel of wondering: what could happen next? Do you have examples of favorite (or most frustrating!) denouements? Perhaps you're currently working on the end of your own novel and have tips for, or questions about, getting it right. Leave any thoughts in the comments below! I wrote a short story for class work, while in college. The professor liked the story until the end. She stated that the ending was very weak, but couldn't tell me how to strengthen it. Thank you Reedsy for teaching me how to write the ending to a story.